Makenzies Miracle: A Much Needed Break! Summer break....... need I say more? I do not think that I have ever been quite so excited for the school year to end as I am right now! For me, this school year ended with a bang. I finished another semester with a 4.0 and found out today that I was accepted into the nursing program I applied to. Next semester will be insane and I would be lying if I said I wasn't a bit scared. However, God has an amazing plan for all of my personal experience and I am certain that each and every experience I have had over the last 8 years with a brain injury, a ruptured appendix, pain, hope, joy, and healing, will remind me for the next 3 years why I choose this path for my life. I am super excited! For Makenzie the school year ended in the same way that it started..... a complete mess. There are way too many ridiculous things I could tell you but in short...I have a team of attorneys...we still have no IEP..... the ILC teacher did not listen to a single thing I had to say, refused to communicate, and completely wasted six months of my daughters life.... the Assistive Technology team spent the whole year writing an evaluation with incomplete information. They concluded on communication access that has been unsuccessful in the educational environment for three years. Even though I presented them with other access options that Makenzie has had amazing success with at home and 32 hours of talker programing, they are stubbornly confident in their evaluation....the aides were never even fully trained on how to properly use Makenzie's talker.... the staff in general failed to keep my daughter safe by not following universal precaution protocol and saw no issue with sending aides to work with my child while they were sick.....and because of the district's lack of concern for my daughters health, she has been sick more since December than she has in 2 years combined........ and the list goes on. For this year I am done. There will be a new ILC teacher at Makenzie's school next year and I am hoping for a teacher that understands augmentative communication and integration practices. I am hoping for a teacher who is willing to put in the effort necessary to plan for Makenzie instead of just sending her into the classroom with no plan and untrained aides. I am hoping for a teacher who doesn't need to be right all of the time and can suppress professional ego in order to meet Makenzie's needs. I am hoping to get a teacher who is willing to listen and respect my knowledge of Makenzie. 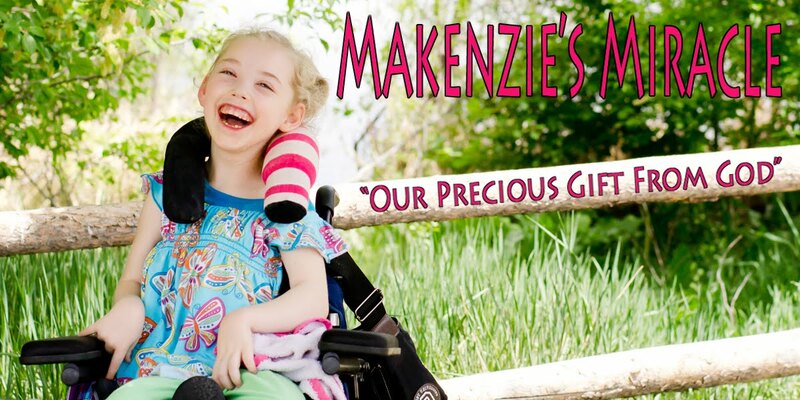 I am hoping for a teacher who will take the time to truly understand Makenzie as a little girl instead of a check list of data points, and who is willing to accept help from myself and Makenzie home team. Over the summer I have a lot to think about and work on in order to get Makenzie to a place where I can go to school without having battle after battle with the school. I have been exploring the district's Home/Hospital model and am thinking that I am going to have a plan set up where Makenzie receives the majority of her education at home while going to school for an hour or so each day to socialize and communicate with her peers. I do not want to do this long term but if I can keep Makenzie out of the crossfire of the political garbage while the school trains the new ILC teacher and aides properly on all of Makenzie's equipment and an appropriate IEP is drawn up, I would be a lot less stressed and Makenzie would be a lot happier and more successful. I am trying really hard to let go of all of the issues that have come up this year with the school but it is super hard because Makenzie is so smart and deserves so much more than to be underestimated and treated in such a condescending manner. Please pray that over the summer God would soften hearts and open up minds in order for the district to be able to see Makenzie first as a child just like every other child instead of a spreadsheet of data points and evaluation results tied to political BS and federal funding. Pray that the school hires an ILC teacher who can see potential in kids whole can not always prove their skills, and who believes in integration. Pray that next year will be a WHOLE LOT better than this year because I will need a padded room if next year goes the way this year did. Despite a really tough school year, life is really good. Makenzie and the boys are healthy and happy. At the end of the day that is really all that matters!!! Now it is time to go enjoy a much needed summer break!